J88PT 2019 will take place in the Chinese Texas Hold’em Poker Association(CTP). If you are planning to go there directly from the airport you need to know several things. There are two airport in Taipei Songshan Airport and Taoyuan. Songshan Airport is close to the CTP. 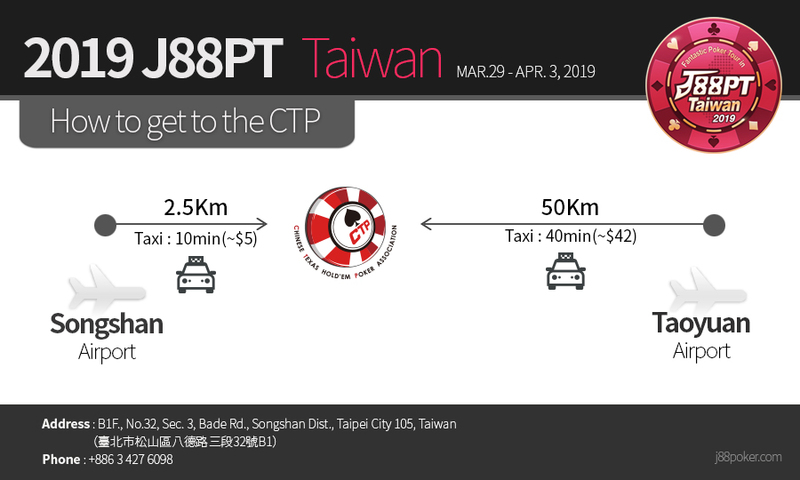 It will take you about 10 minutes to get the CTP by taxi. And yes, taxi is the best option!